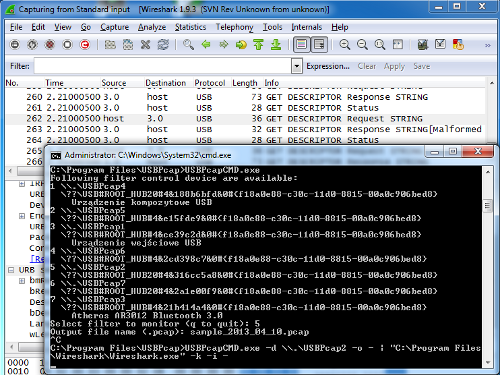 USBPcap is an open-source USB sniffer for Windows. Digitally signed installer for Windows XP, Vista, 7, 8 and 10, both x86 and x64 is available at Github. After installation you must restart your computer. USBPcap support was commited in revision 48847 (Wireshark #8503). The first official Wireshark version that supports USBPcap is 1.10.0rc1.